Cluck, buh-cawk! Jessi Bloom’s book on chickens in the garden. Photo courtesy of Williams-Sonoma. Chickens are having their moment in the sun—everyone from natural foodies to sustainable permaculturists have come to appreciate all they have to offer. For many gardeners, keeping these birds is a natural outgrowth of cultivating gardens. 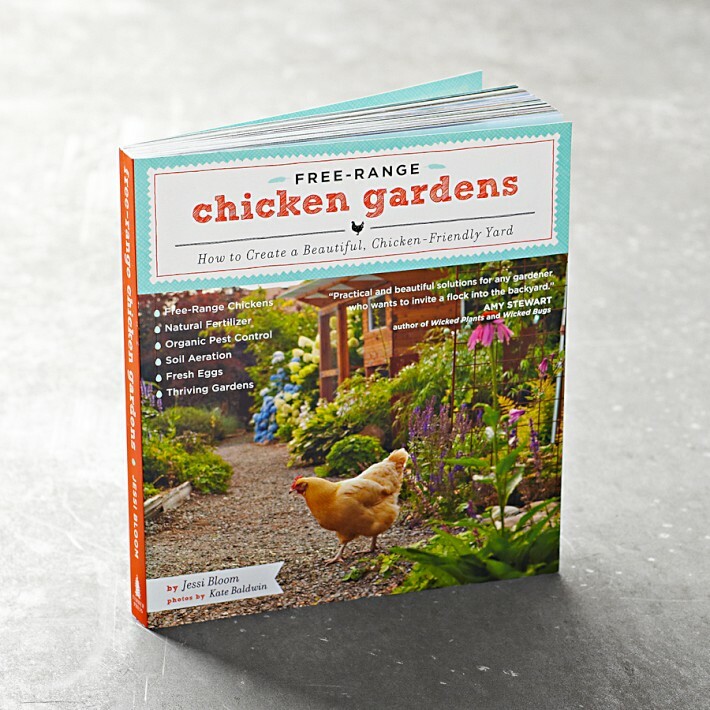 In her book “Free-Range Chicken Gardens: How to Create a Beautiful, Chicken-Friendly Yard,” Jessi Bloom shows that the two go hand in hand. Extolling the virtues of the companion fowl multitaskers, she points out that chickens are able to provide fresh, healthy eggs (no trip to the grocery store or farm required); convert food scraps into nitrogen-rich compost in short order (compared with the earthworms in your compost pile); offer no-cost, chemical-free insect control; and naturally aerate the soil without you having to lift a finger. $19.95 with free shipping; williams-sonoma.com. This entry was posted in Garden, Uncategorized and tagged chickens, compost, free-range chicken gardens, fressh eggs, garden, gardening, Jessi Bloom, natural pest control, organic, permaculture. Bookmark the permalink. I read this book – it was quick read and the pictures were great. I wonder, does keeping open range chickens mean some plants will need protection?